They're your neighbors, your aunts, your sisters and your best friends. They're women across North America committed to reaching out and changing lives, one good deed at a time. 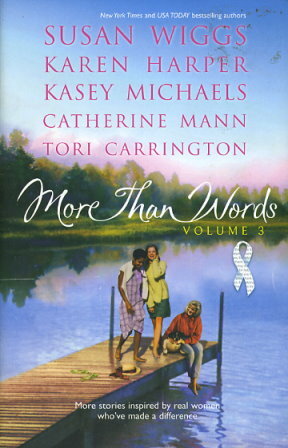 Five of these exceptional women have been selected as this year's recipients of Harlequin's More Than Words Award. And once again five award-winning bestselling authors have kindly offered their creativity to write original short stories inspired by these real-life heroines. Homecoming Season -- Miranda Sweeney's life was put on hold after a diagnosis of breast cancer. And now that she has a clean bill of health, she finds her family has drifted apart. Sophie Bellamy, Miranda's best friend, has the perfect solution -- a retreat for the whole family on Willow Lake. But can the tranquility of the lake help the Sweeney's regain what they've lost?